Let the Blue Ice harmonicas introduce you to the cool sound of the Blues! 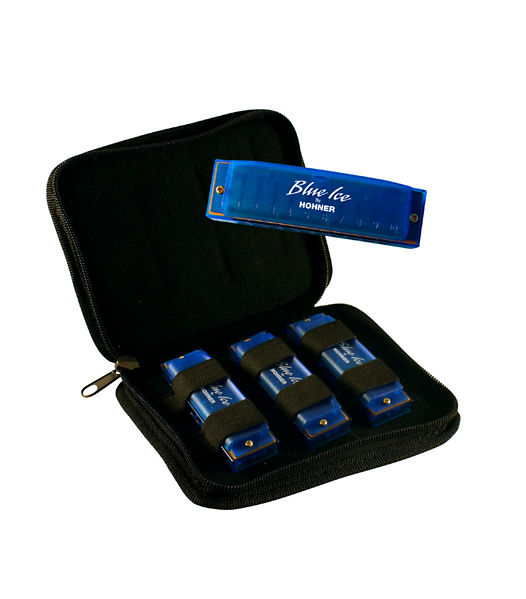 The Blue Ice pack are three entry level harmonicas in the most popular harmonica keys C, G and D. They are packaged in a handy zippered carrying case for storage or taking to your gig. The harmonica is nowadays popular in almost every music style, and Hohner, the world's biggest manufacturer of quality harmonicas, is proud to be a supplier of high quality instruments for exactly 150 years now.